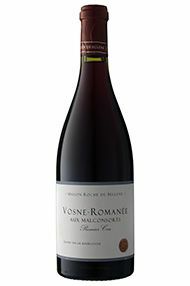 Burghound - This offers up the most complex nose of these three Vosne 1ers with an exuberantly spicy black fruit and cassis scents. There is excellent size and weight to the powerful and admirably concentrated broad-shouldered flavors that evidence plenty of muscle and punch on the mouth coating finish. The underlying tannins are exceptionally firm yet completely ripe and I very much like the explosive finale that seems to go on and on. In 2010, this easily delivers grand cru quality but note well that plenty of patience will be required.